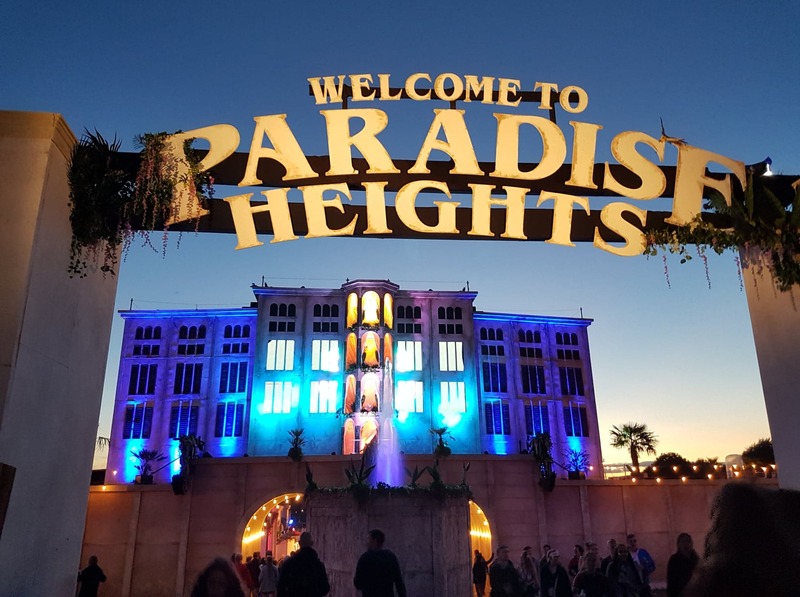 The immersive storyline encourages Boomtown citizens to upload their questions to AMI throughout the weekend; receiving updates about AMI’s launch at the closing ceremony through ‘The Daily Rag’ newspaper. However, AMI is dumbfounded by a question about the sustainability of the of the planet. With 20,000 tents left each year alongside countless tonnes of rubbish, Boomtown festival warns citizens about the worrying future of the city through the closing ceremony. Launching a new flagship mission this year, Boomtown have a heavy focus on respect for yourself, each other and the city. 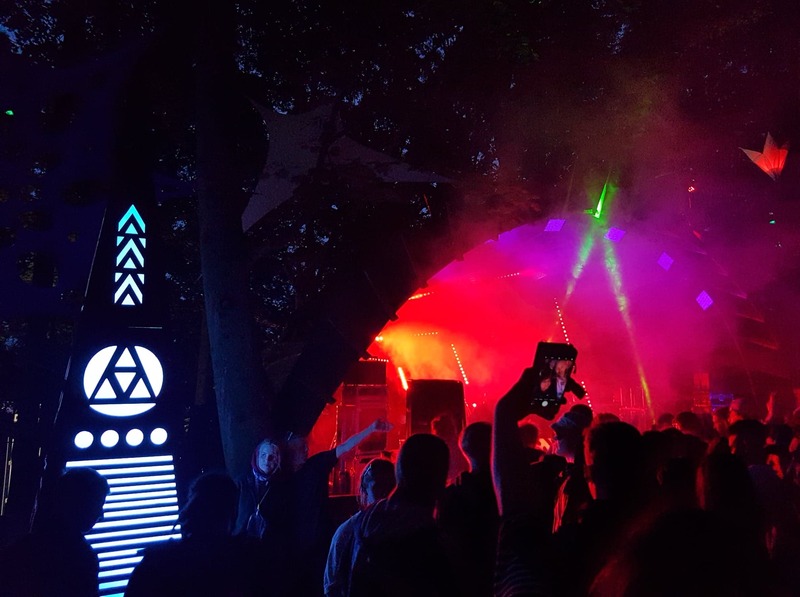 For a second year, the fantastic work carried out by harm reduction charity, The Loop, were, once more, inundated with revelers testing their substances and as a result, preventing drug-related casualties. Boomtown should take great pride in being a pioneering festival supporting drug testing facilities. Situated in Winchester at Matterley Estate, Chapter 10 also features a redesign of the distinctive districts to follow its industrial powerhouse theme of the ‘Bang Hai’ Industries takeover. 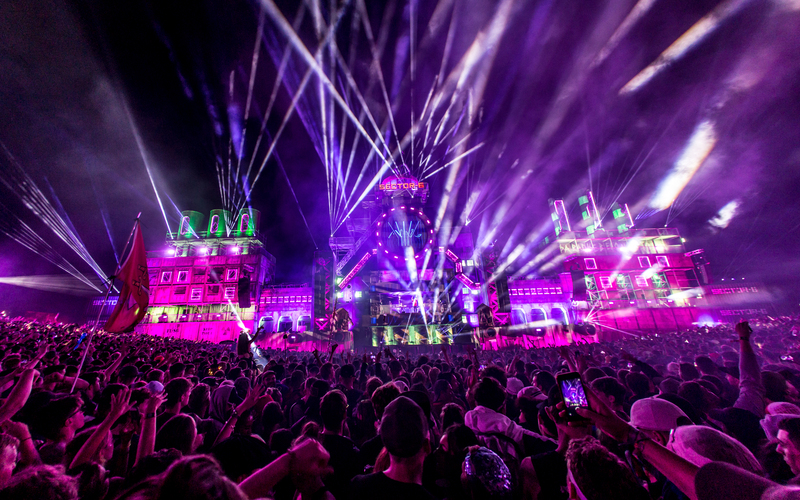 With each stage sprawling with fire and lasers, every district is a spectacle of its own. 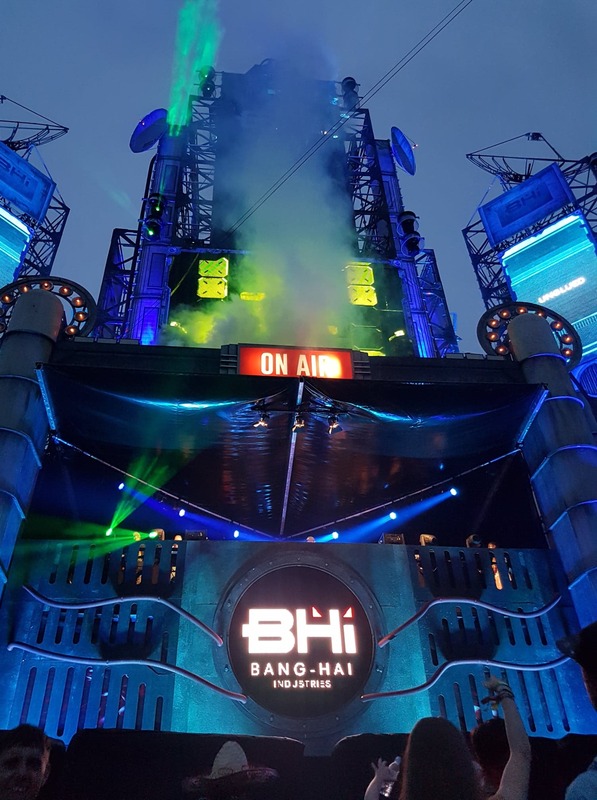 From the monstrous complexity of Bang Hai towers to the smooth rustiness of the Old Mine, each stage contributes to the dazzling world of Boomtown Fair. Resolving queuing times this year, citizens were also able to enjoy Thursday nights pre-festival antics across the city. 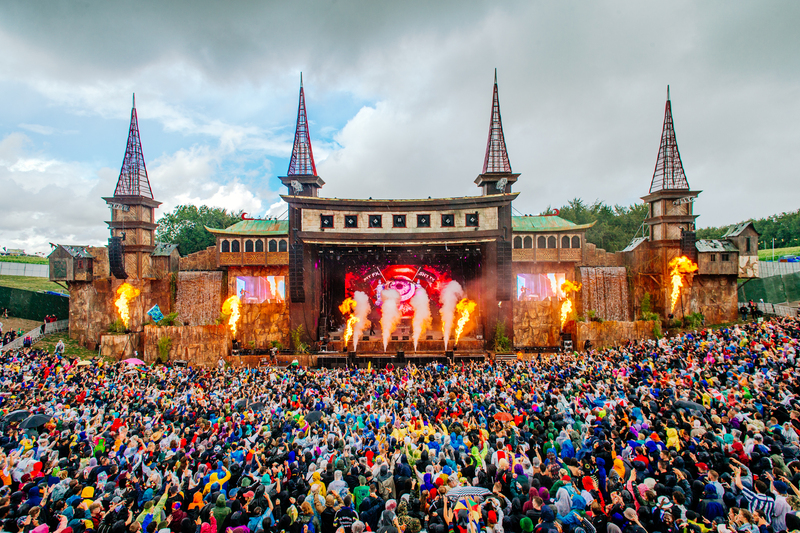 Highlights came from veteran festival DJ, Slipmatt, who dominated the Psy Forest. 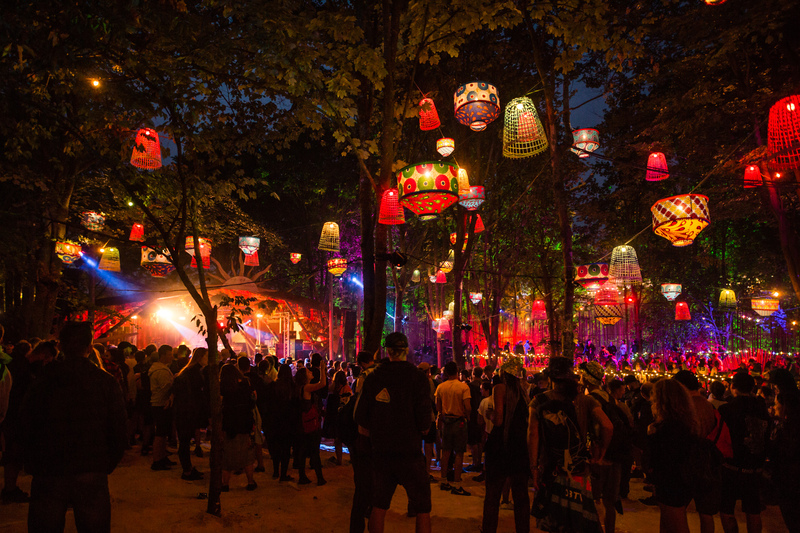 Covered under thick forest, vivid illuminations are dotted around as the trees light up with the vibrant lights bursting from the circular stage. With water features and smooth sand under foot, the Psy Forest is a naturistic escape from the industrialised stages which dominate the skyline. Slipmatt selects a wide variety of 90’s rave tunes and classics from Faithless’ ‘Insomnia’ to Bizzare Ink’s ‘Playing with Knives’; providing the perfect back drop and turning the Psy Forest into its own Balearic island escape for one night. Exploring the nearby surroundings to the Psy Forest minutes after Slipmatt’s set, we found ourselves at ‘the wrong side of the tracks’ in the newly updated Copper County indulging in weighty drum and bass. From one district to the next, each is characteristically unique and overflowing with intricacy; adding to Boomtown’s already glowing reputation. Come Friday morning, we are hiking our way up to Whistler’s Green to take part in an invigorating early drum and bass workout, before making our way towards Boomtown’s spectacular main stage for the opening ceremony. Nestled in the valley, the mighty Lion’s Den is ornamented with regal towering castle spires and gushing waterfalls; it is truly magnificent. Kicking the celebrations off with a spectacular opening ceremony lasting fifteen minutes, the performance begins with a percussive introduction before spiralling into a full-scale performance. 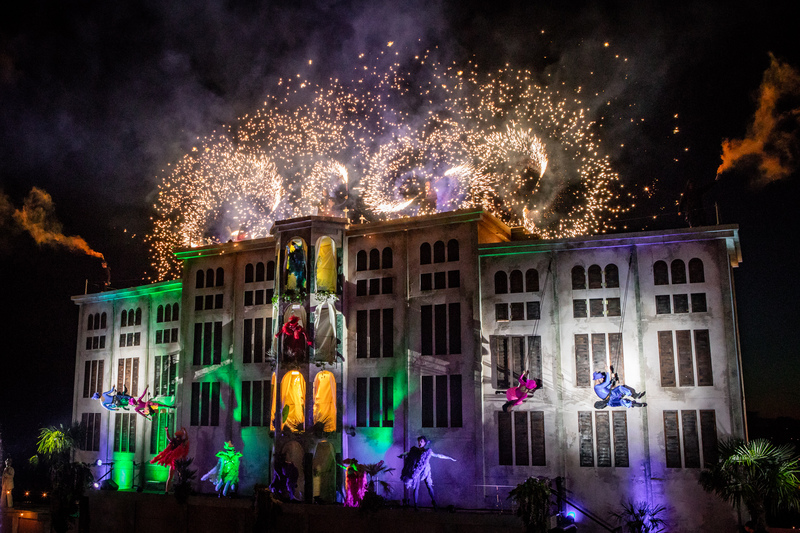 Featuring local primary schools, dance schools and singer Eva Lazauras, the performance is fantastically choreographed and echoed the community feel that Boomtown represents. 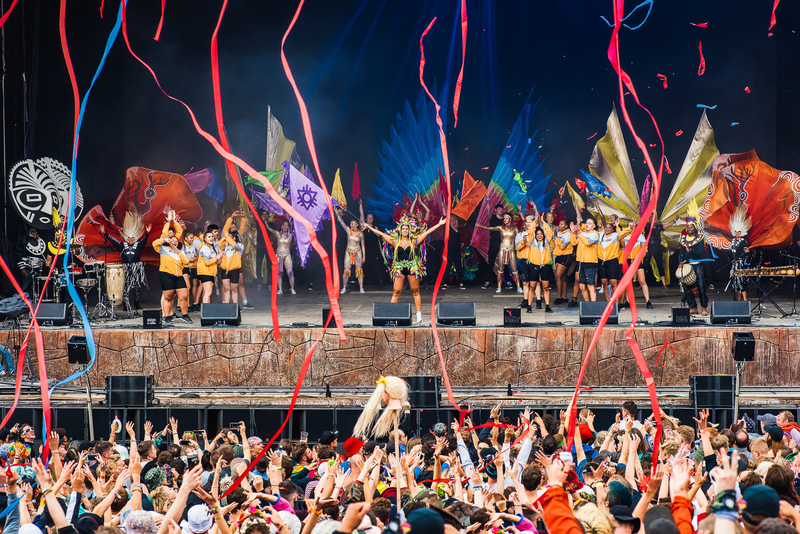 With bright and colourful outfits following a rich tribal theme and confetti canons exploding, roars erupted from the Lion’s Den to officially mark the beginning of Boomtown Chapter 10. Exploring the world of Boomtown can’t be done in just four days. 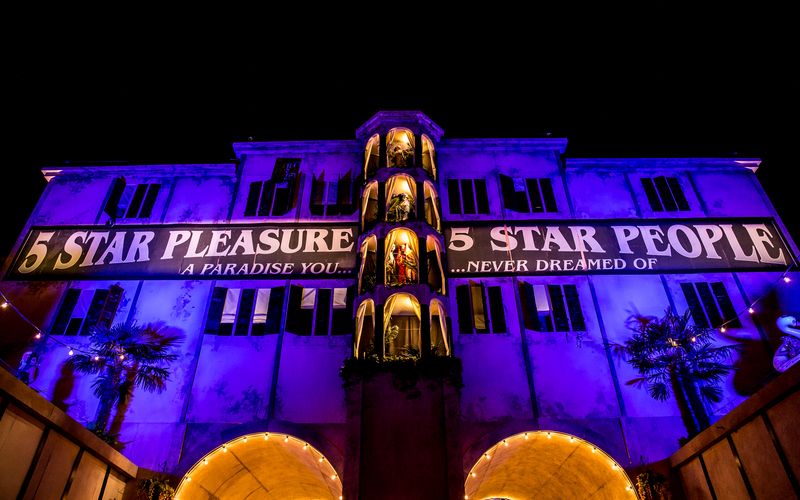 It’s breath-takingly bizarre with every corner holding a different surprise… You never know what you may find. Across the site, zany actors roam the valleys. From district police officers and shoe shiners to cyber cops, each character has their own inimitable quirk to add; you never know what information these Boomtown citizens may offer you. Saturday’s highlights include Hospital records stepping up to the mighty ‘Bang Hai Towers’ for an instrumental masterclass to the smoother side of Drum and Bass. Founder and CEO of Hospital, London Elektricity, took the stage- fusing elements of jazz and soul and reminding the listeners of the ‘intelligent’ days of drum and bass. The warm vocals glide out of the system as Elektricity displays the power of Hospitality in one of the greatest festival environments ever created. Sunday then comes around too quickly, and despite the downpours came outstanding sets from Boomtown veteran, Beans on Toast, South African rap-rave group, Die Antwoord and Drum and Bass father and secret headliner, Andy C. Notwithstanding the diversity in genres, anything is possible in the wonderful world of Boomtown. Stepping onto the decks at Sector 6 to close Boomtown, Andy C takes us on a journey filled with double drops, twisted basslines and pyrotechnics; giving us the chance to go crazy for one last time whilst we slip and slide around in the mud before the closing ceremony. The story concludes. AMI breaks down, exhilarating visuals light up the Matterley fields, and we find out that the CEO of Bang Hai Industries is Infact… The man behind the mask. 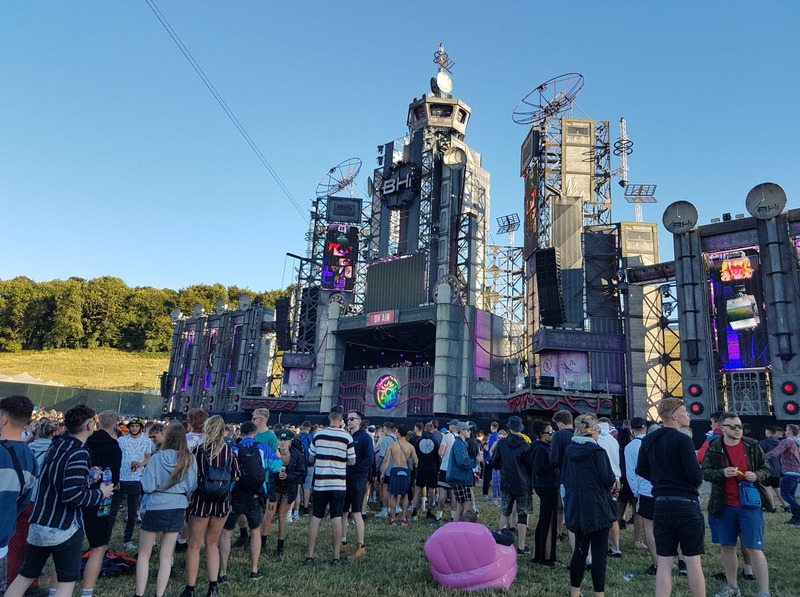 Boomtown CH11: A Radical City – 7th – 11th August 2019.